Traditional acupuncture treats the whole person, body and mind, and not just symptoms. It’s been researched, refined and developed for centuries. Acupuncture works. Can traditional acupuncture help you? Back to Health are lucky to have 2 TCM (Traditional Chinese Medicine) trained acupuncturists working with us at our clinics. Lynn Owen works with us in both Wrexham and Chester. Liz Eames works with us in Mold and Chester. Between them they have over 30 years’ experience. Lynn is also a trained yoga teacher and offers Yoga for back health classes at our Chester clinic. Liz is also a trained Shiatsu practitioner and offers combined Shiatsu massage therapy and Acupuncture treatment. 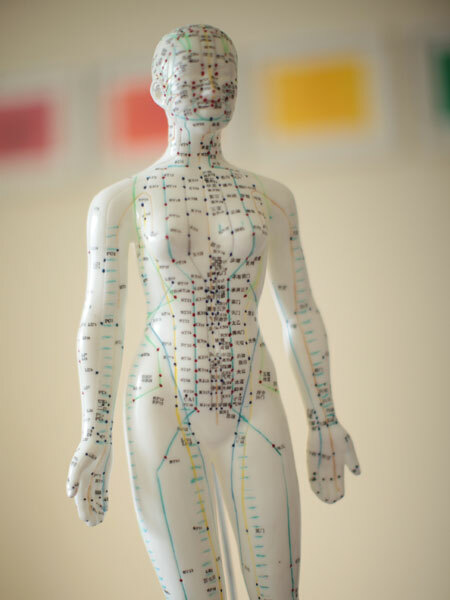 Whilst most of our Back to Health treatments are based on the Western evidence based medical model, traditional acupuncture is a healthcare system based on ancient principles which go back nearly two thousand years. It has a very positive model of good health and function and looks at pain and illness as signs that the body is out of balance. The overall aim of acupuncture treatment, then, is to restore the body’s equilibrium. What makes this system so uniquely suited to modern life is that physical, emotional and mental are interdependent, and reflect what many people perceive as the connection between the different aspects their lives. A growing body of evidence-based clinical research shows that traditional acupuncture safely treats a wide range of common health problems such as back pain and issues with fertility. We have found that many of our patients have many questions relating to their acupuncture treatment. We have compiled a list of answers which we hope will help answer some of these questions! During your first visit the acupuncurist will need to gain a thorough understanding of your main complaint and your general health and lifestyle. This involves asking questions about your current symptoms and your medical history, as well as such things as your sleeping pattern, your appetite and digestion, and your emotional wellbeing. Women are also asked about their menstrual cycle and any past pregnancies and childbirth. You might feel that some questions appear unrelated to your condition but the information you give helps the acupuncturist form a more complete picture of your health and lifestyle. They will also take your pulse on both wrists and may examine your tongue and feel for areas of muscular tension or pain. To make a diagnosis according to traditional Chinese medicine theory and to find the right treatment approach, they will also want to know more specific details. Based on all the information you have given, the acupuncturist will make a diagnosis and put together your treatment plan, which may include lifestyle and dietary advice as well as acupuncture. They will use very fine single-use pre-sterilised needles to stimulate specific acupuncture points on your body. Because energy meridians range across the whole body, the points used are not necessarily close to where you experience pain or discomfort. For example, if you suffer from headaches needles might be inserted in your foot or hand. The frequency and length of treatment depends on your individual condition. Some change is usually felt after four/five treatments, although occasionally only one or two treatments are required. Your acupuncturist will normally ask to see you once or twice a week at first. For chronic conditions you may need long term treatment to keep your symptoms under control. Acupuncture has a very sound track record. The needles used are single-use, sterile and disposable. Our acupuncturists only use high quality needles so reducing any discomfort from needling. The acupuncturist will also suggest ways in which you can enhance the long-term effects of your treatment. This may involve making changes to your diet and daily routine. Your acupuncture treatment may be combined with other treatments (chiropractic for example) at the clinic as they complement each other. You don’t need to be in pain to book in at the clinic - Would you wait until you can’t see before seeing your optician or have your teeth fall out before booking in to see your dentist? You don’t wait until your car breaks down before getting your car serviced? We recommend you give your spine and muscular system an MOT just as you would your eyes, your teeth or your car. Just book in for an MSK screening appointment!